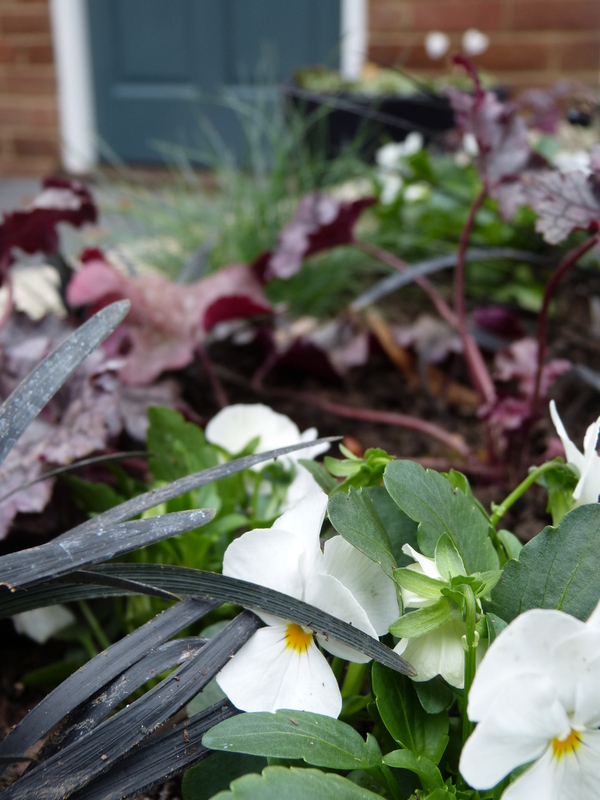 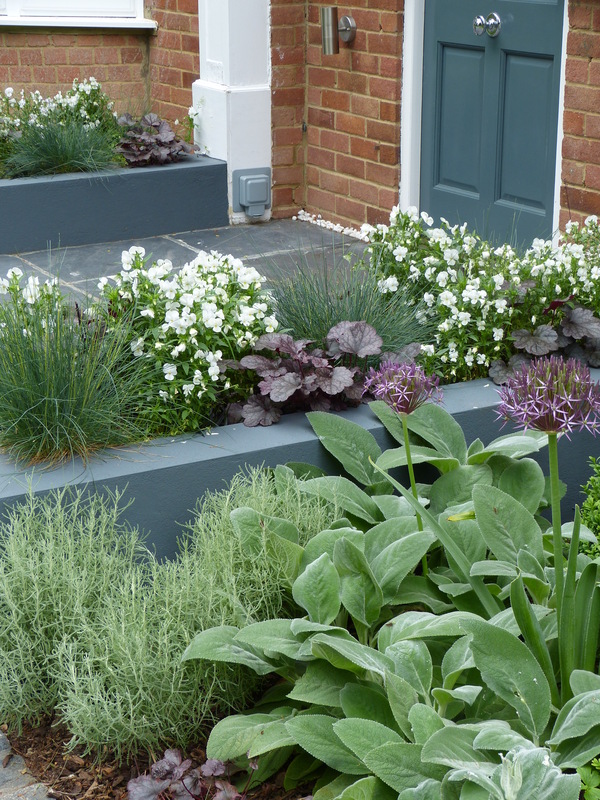 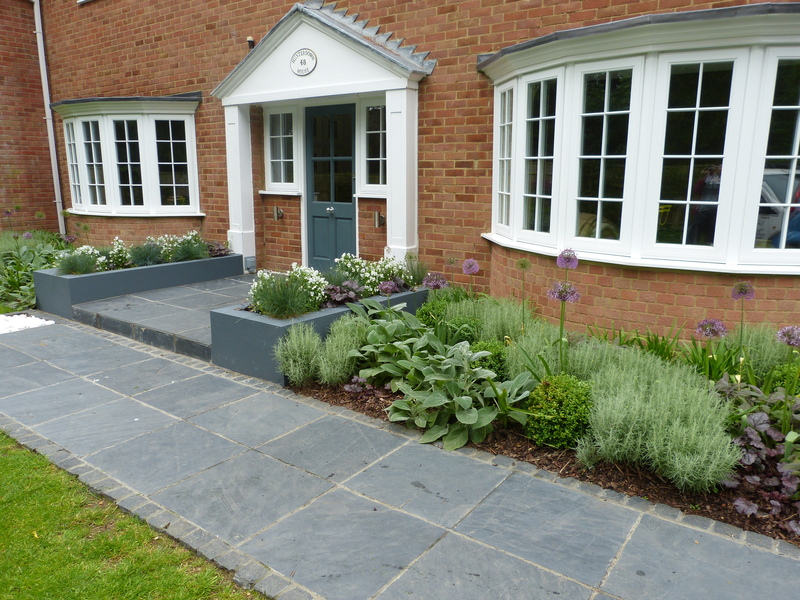 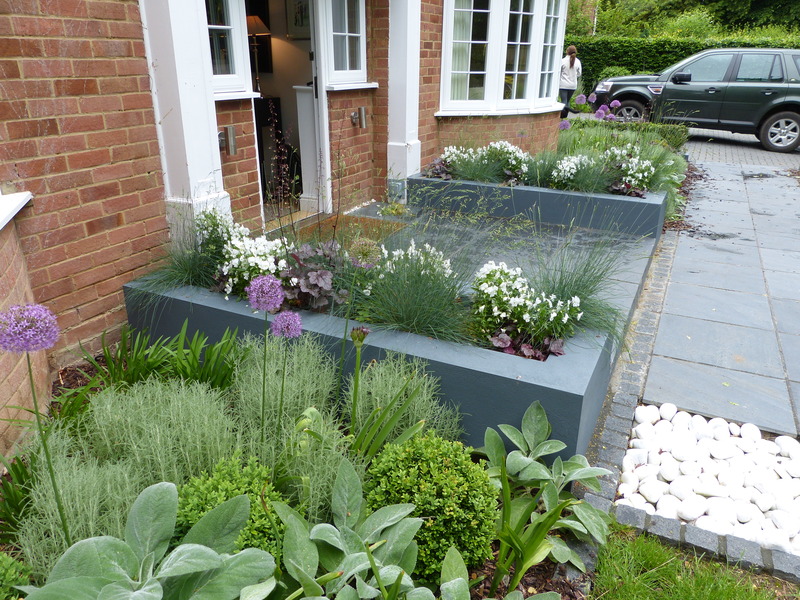 Linking the drive to the front door with a generous dark slate path and front door step, surrounded by subtle planting in shades of greys, purple and white. 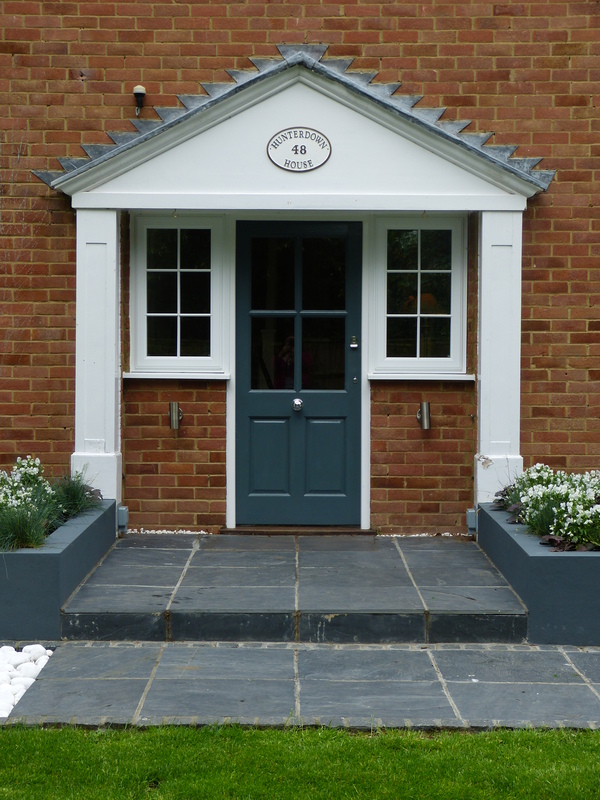 The twin raised beds were painted to match the front door to tie everything together and create a strong, unified entrance. 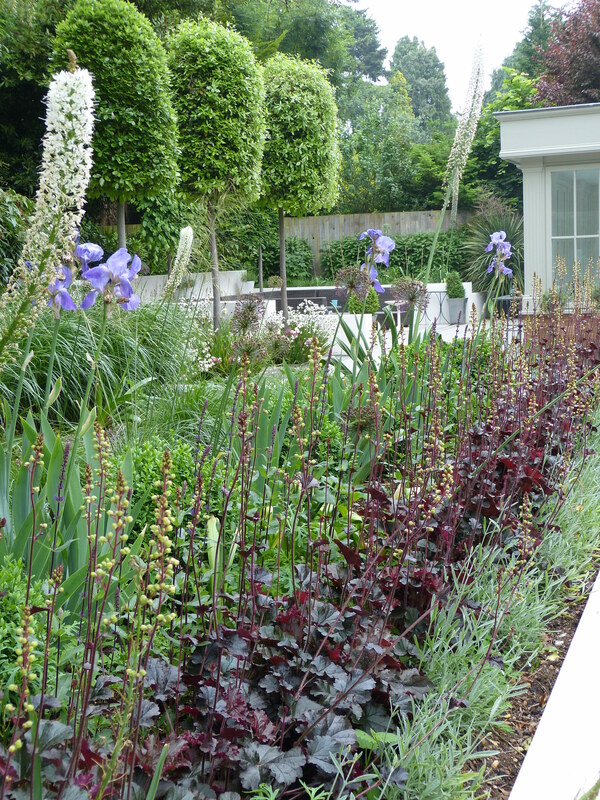 Ordered lines and ribbons of planting reinforced the clean design.